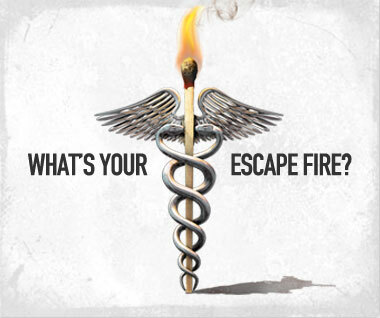 The 2012 award-winning documentary film, Escape Fire: The Fight to Rescue American Healthcare, offered a ready-made tool to start a health care conversation with everyday people. The film tackles the pressing question: How can we save our badly broken health care system? Through the use of real human health care stories, it chronicles the huge challenges in our system and shows hopeful examples of positive change. In 2013, the Foundation sponsored a discussion series, with film showings in various settings, followed by a discussion with the audience. The goal was to move people beyond discussion of the Affordable Care Act, which the public views primarily as a way to increase access to coverage. The focus was to move discussion to the bigger challenge of fundamentally changing the way in which we deliver and pay for health care with an emphasis on quality care that controls costs and promotes good health.